At Cnapan, we are always promoting the fact that once you arrive on holiday in Newport you can hang up your car keys and relax. Newport has so much to offer there is no need to get into the car for the duration of your holiday. In the town itself we have we have a number of excellent cafes, pubs and restaurants to suit everyone's taste. 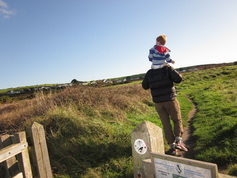 We also have fantastic and varied walks in the vicinity, encompassing both the coastal path and the Preseli hills. For the cycling enthusiasts we have several cycle routes starting in Newport which follow quiet country roads. 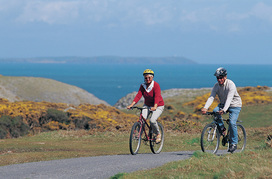 There are routes over the Preselis for the more energetic cyclists or more sedate coastal routes, for the more casual cyclist. 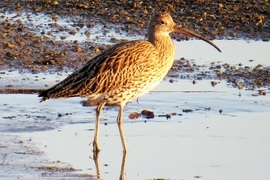 Wildlife and bird watching locations are close by, if not within walking distance, then just a short bus journey away. For more information please click on the appropriate links below.